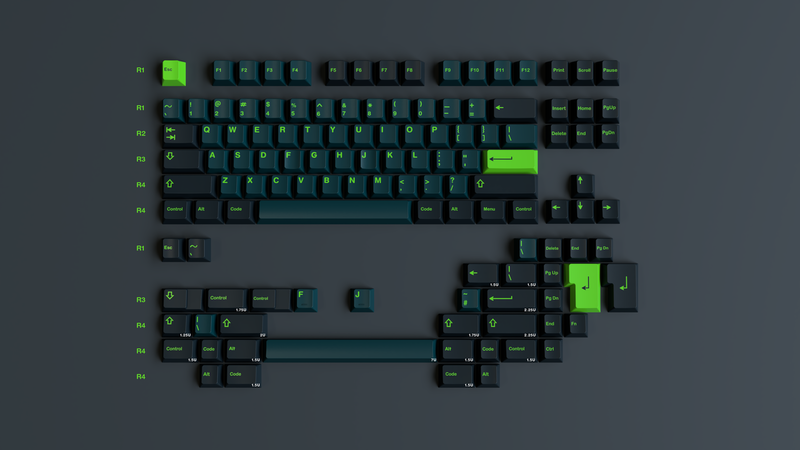 [IC] GMK Wavez GB IS LIVE !! 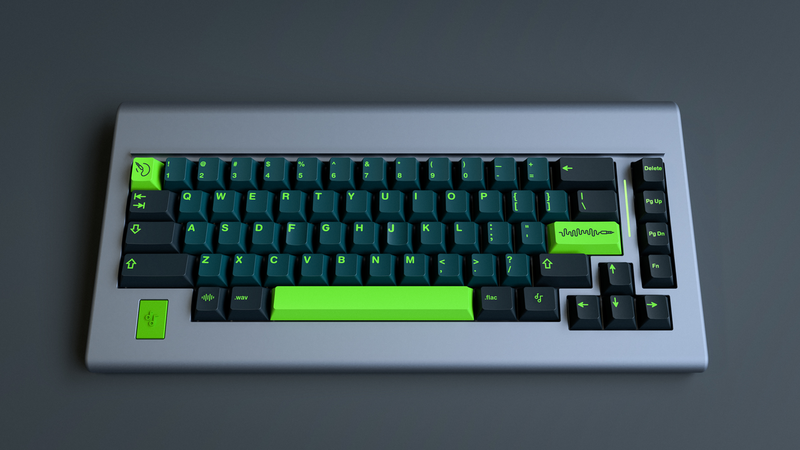 Hey guys (and Girls), It's Enjoy for the FINAL update for GMK Wavez. 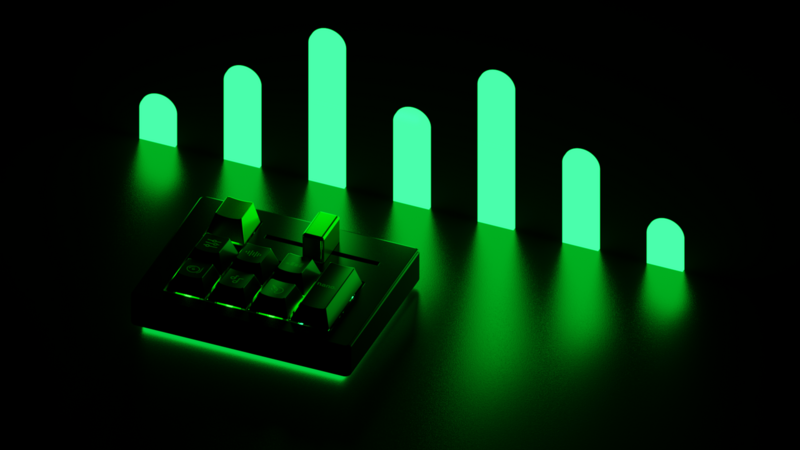 After such deliberation due to kit tweaking and all, I am happy to announce that GB will be live on the 1st April 2019 for 1 month ! Apart from these kits, I also managed to collab with people to make some nice add-ons to this set. Note that only people who will join the GB will have access to the raffles ! First I really want to thank the proxies I'm working with since we tried to get the best prices possible for this set, and working with them is actually amazing, so thank you guys ! For the NA proxy, I had a lot of options to choose from, but I decided to help a new vendor that just got started; I think that it's really important to give people a chance to grow up their business and I really hope that this specific proxy will beneficiate from that ! 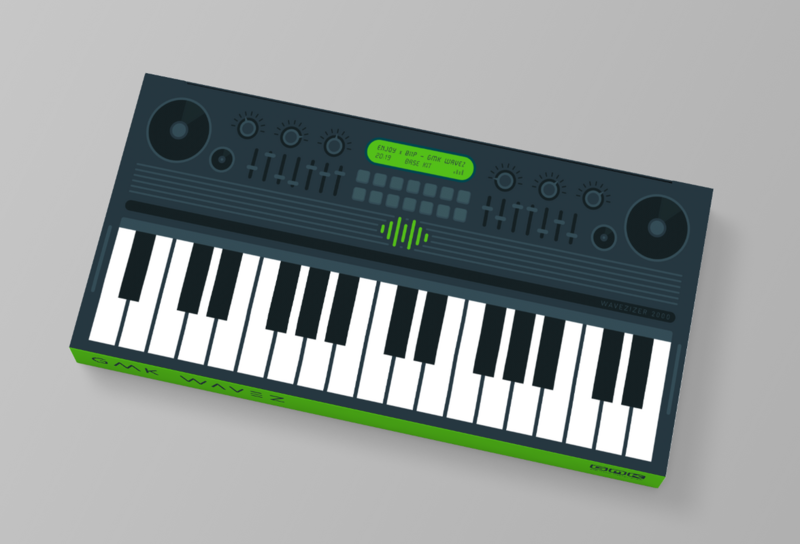 Some renders to show the possibilities you have with all kits ! And a render of the packaging made by Biip, who also did the awsome novelties for this set ! Finally I'd like to thank everyone of you guys, the journey was long but we're finally there, I'm so excited for this GB and I'm sincerly greatfull of your support, you guys are amazing and without you, none of this would be possible. Huh. Reminds me a bit of 3run in a good way. Nice vibrant colours, almost sporty. I don’t know if this is a set for me but I do like it quite a bit. 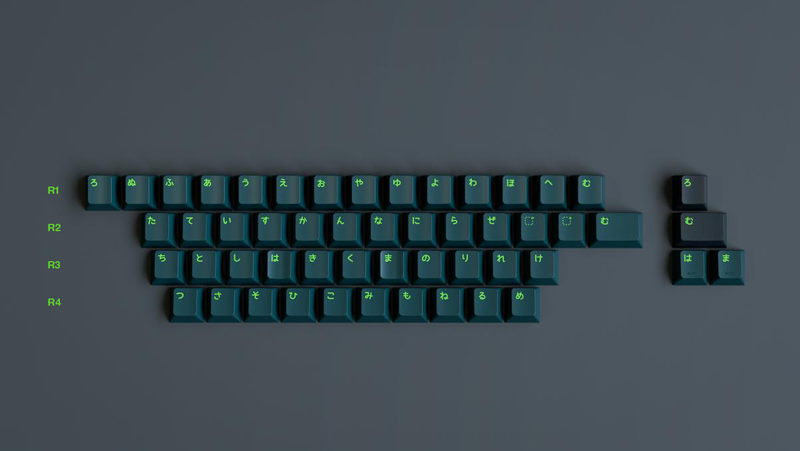 After 9009 and Modern Dolch, let's do custom color this round!! This is just so hot. I like this very much, want! Been looking for a set with some bright neon color in it. This also reminds me of solarized dark but I am also seeing a hint of terminal with the green. Overall, I am really liking the set! I want it. I need it. Take my money! Ooof. 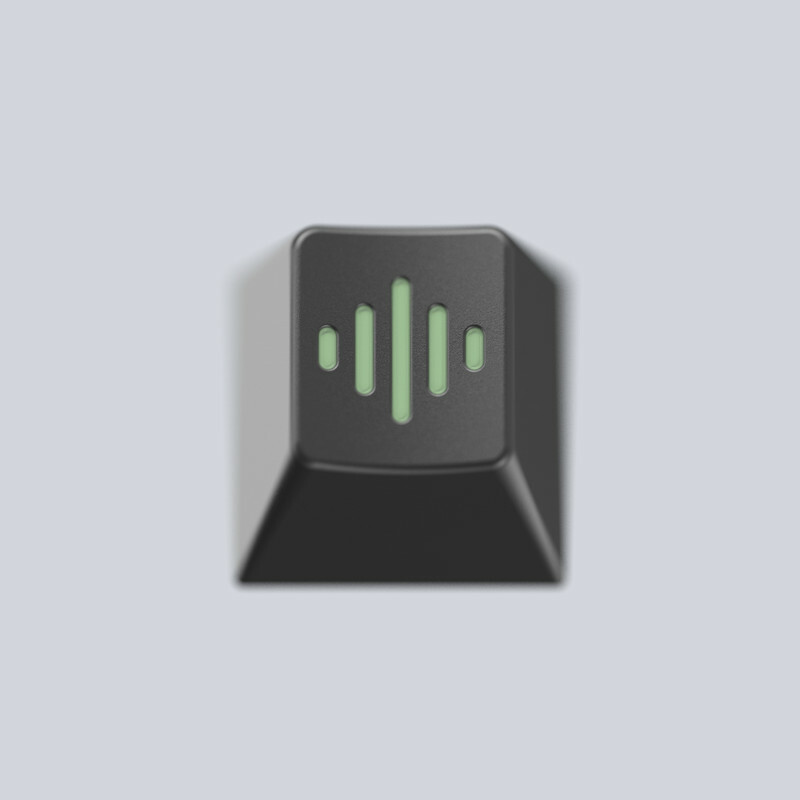 Can someone render this on a sage m60? I hope it to be different from Solarized Dark. Well if more people request it why not, but ATM i don't see the point in adding one since only a few people are using it, and reaching MOQ is kinda hard for a custom color, so i'm carefull about the pricetag. If you can get those exact colors I am in. 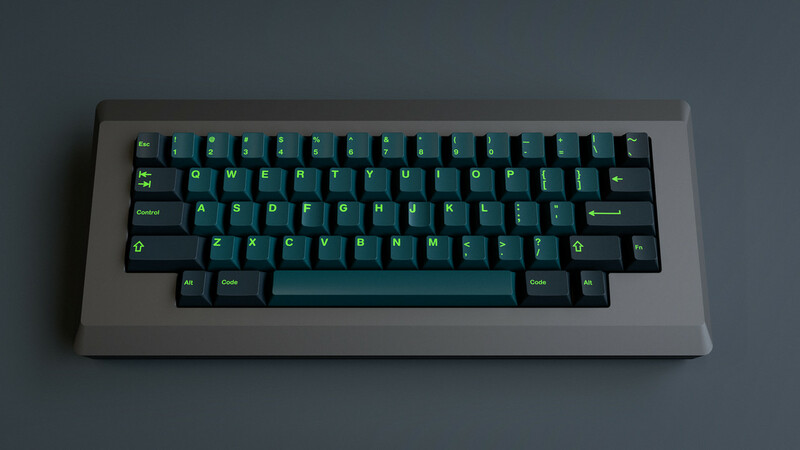 Similar to the Nautilus Nightmare but looks much better imo. Hope to see a blank 1.25 added to space bar kit. I'm in, love the colors. Here's some changes I'd make to reduce base cost, from least extreme to most. 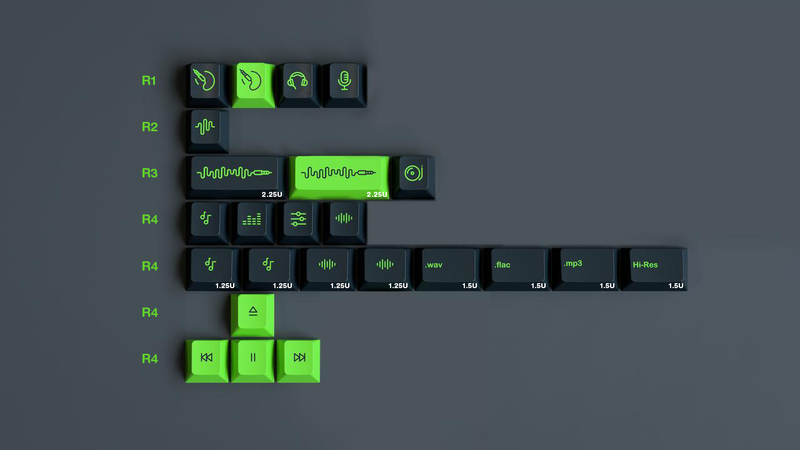 Very cool, but I read this as GMK Warez and was even more pumped! Cool looking set, I especially love the .flac and .wav novelties! Love these colors. I’m in. Nice work. Those colors are sweet but sadly would be really hard to match to anything else on my desk so I'm probably not gonna join. This is amazing. Really love the colours. 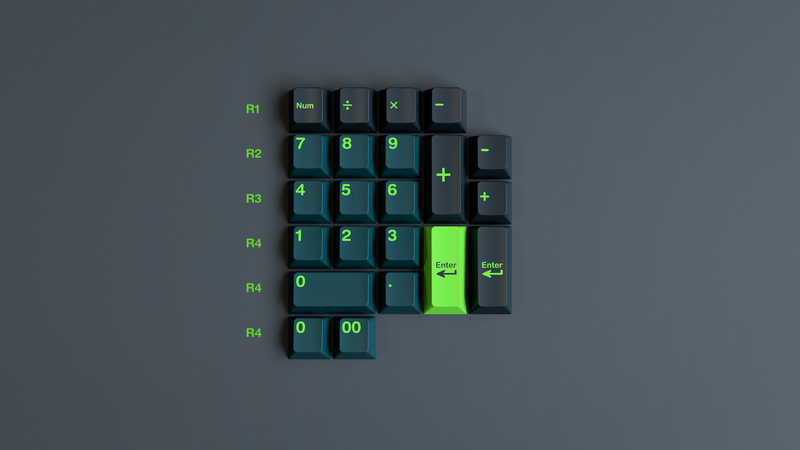 I wanted to remove the numpad but some people really like it, and it will never reach MOQ. 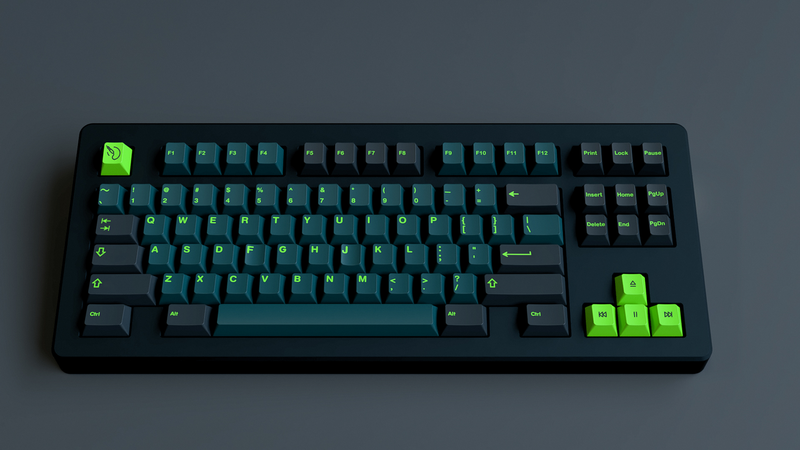 I'm tempted by both sets honestly >< Will be interesting to compare their color samples/final colors..
1) VIM keys. They would look great in that green. Colours look incredible. 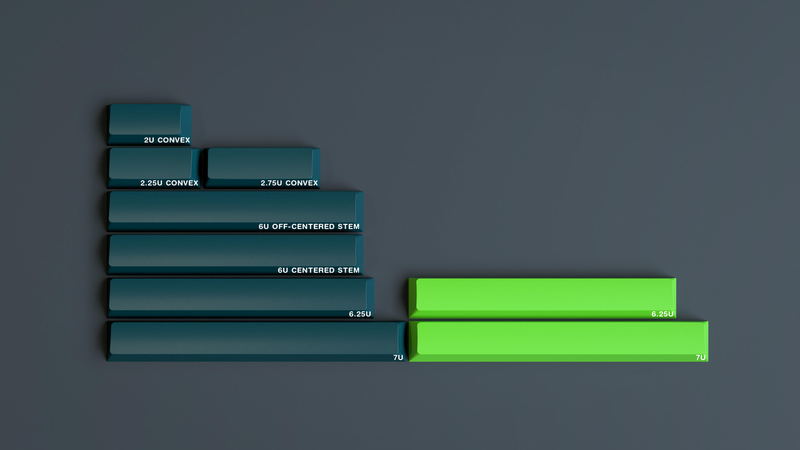 Does remind me a bit of solarized dark but prefer the lime green accents here vs the teal accents in solarized dark. If the colours turn out as good irl would be a definite in. 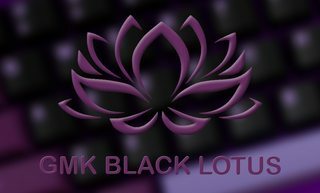 The thing is that custom colors = Higher MOQ, and if we add more kits, or more keys to the existing kits, price will be higher and we probably won't reach the MOQ, some people requested the WASD kit aswell, some people want NORDE kit... so same thing for the Text modifiers, i really really like them, but since the majority prefere the icon mods only i have to stick with it, and proposing it as a kit won't probably work, sorry but i can't satisfied everyone ^^". Well you can join then cuz they will turn out this way :3 ! Oh god I kind of really want this... maybe my last GB. that would be an honnor ! Nice, I like it, but some of those novelties really look like sperm to me. I can't be the only one...or am I? I mean, does an audio cable look like a sperm? Kinda. But it's a cord, right? This. +1. Definitely buying one. 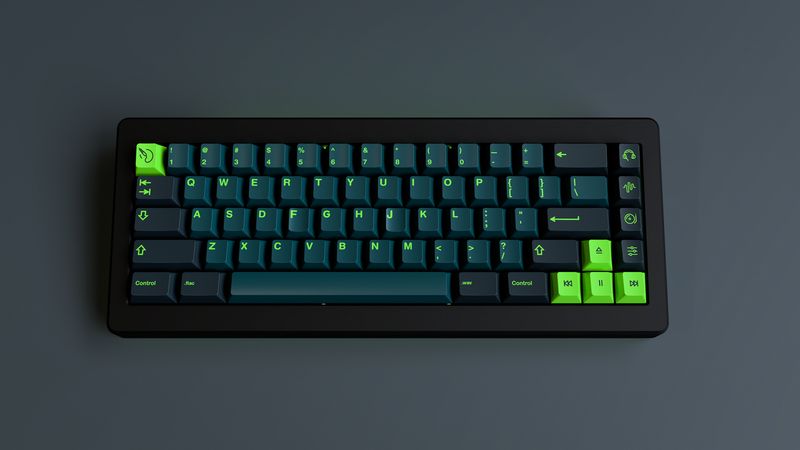 neon green is so great，hope GMK can match the render. These colors remind me of some G.I. Joe vehicle I had. It also reminds me of the running shoes I recently bought. First thanks for the feeback that is for the most part very positive guys hehe. Digging it. Icon mods aren't my thing, but the colors are great. 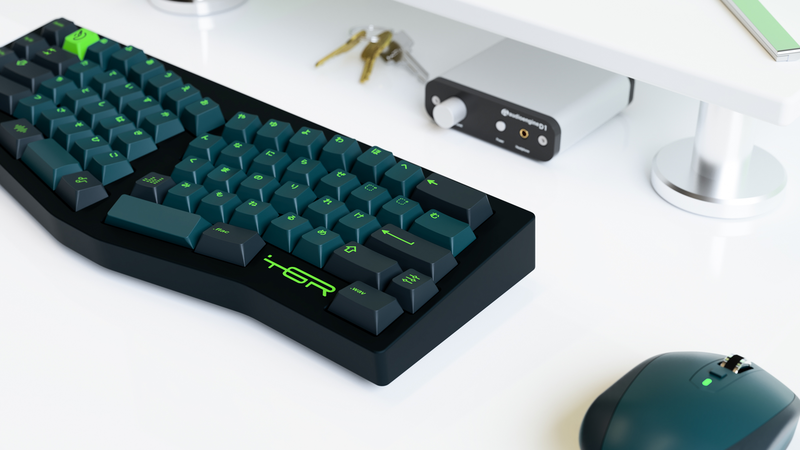 Imo the kit is solid where it is and is roughly what a GMK base kit should be for maxing out good support without hitting too much pricey niche stuff. Any thoughts on vendor and timeline yet? Thanks i really apprecieate these kind words, we're doing minor changes on the novelties to make them as accurate as possible, and after that things will go quick, and yeah all vendors are planned. I hope you're looking at zFrontier as one of the vendors! Us asians really like buying from them.